Royal Life Saving Society reveals. 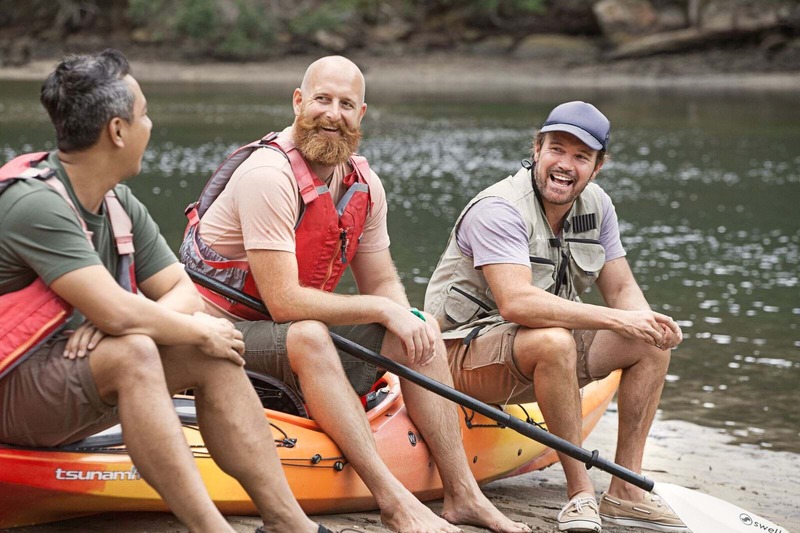 Royal Life Saving Society urging Aussies to not let your mates drink and drown. It’s shaping up to be one hell of a summer. Both the Chili Peppers and Arctic Monkeys are touring the country. Kohli and the rest of the Indian squad will be out in the middle of the MCG for the Boxing Day Test. And, after an eternity of waiting, Aquaman’s finally hitting cinemas. One thing that’s critical to remember, however, is if you plan on hanging out by the water these holidays, then alcohol doesn’t mix. Royal Life Saving research shows that of the 1,087 people who drowned in rivers, creeks and streams over the last 15 years, 56% were under the influence of alcohol or drugs. These alarming stats are a core driver to the Royal Life Saving Society Australia campaign urging Aussies to not let your mates drink and drown. 56% of Aussies were under the influence of alcohol or drugs before drowning. Most were young men. Photo: Pexels. 1. Chuck plenty of water in your esky to drink when you’re out. 2. If you’re going to have a few drinks, know your limits. Aim for nothing more than 0.5 BAC – think of it like driving. 3. Drink a mid-strength or alcohol-free beer instead. Same great taste, less bad side effects. 4. Enter water slowly and feet first. Never dive in. 5. Never assume you know the water. Varying factors like currents, undertows, moving sandbanks and submerged objects (such as branches and rocks) can change and shift radically within an instant. 7. Never swim alone. Always take a buddy with you. You can look out for each other in case someone gets into trouble. 8. Brush up on your CPR skills. You can help save a life. Remember, alcohol lulls you into a false sense of security. It also leads to more risk-taking behaviour, impaired judgment and reduced coordination. Know your limits with alcohol before taking any risks near waterways. Photo: Royal Life Saving Society. If someone does get into trouble, call for help immediately. Throw them something that floats like an empty esky or lilo. Reach out to them with a tree branch, stick, or rope. The hot days and long nights are already here. Get out there, have fun, and soak up what looks to be a smashing summer. Just don’t forget the importance of staying safe and vigilant near the water, and don’t let your mates drink and drown.